This project was phase one of a fantastic rescue mission. 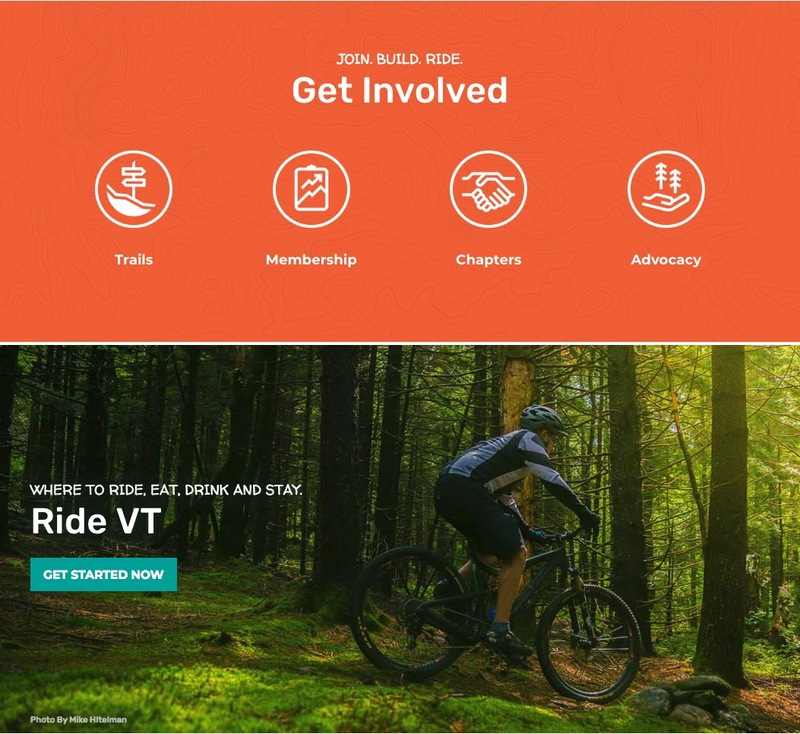 The Vermont Mountain Biking Association is a great organization with dozens of regional chapters and thousands of members that all help maintain and Vermont’s large network of trails. they do this in part by ensuring enough tires are beating those trails down! 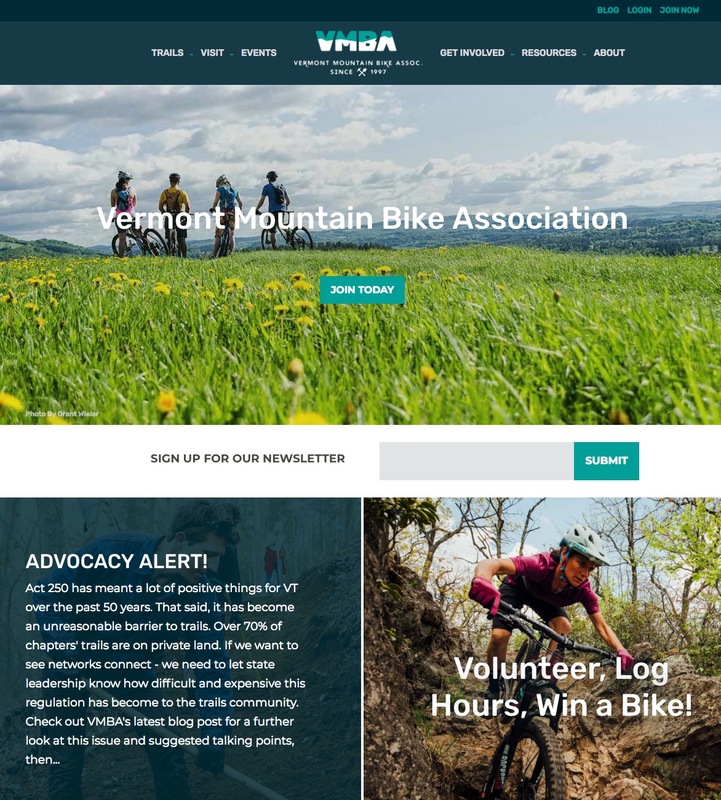 Their website served multiple purposes. 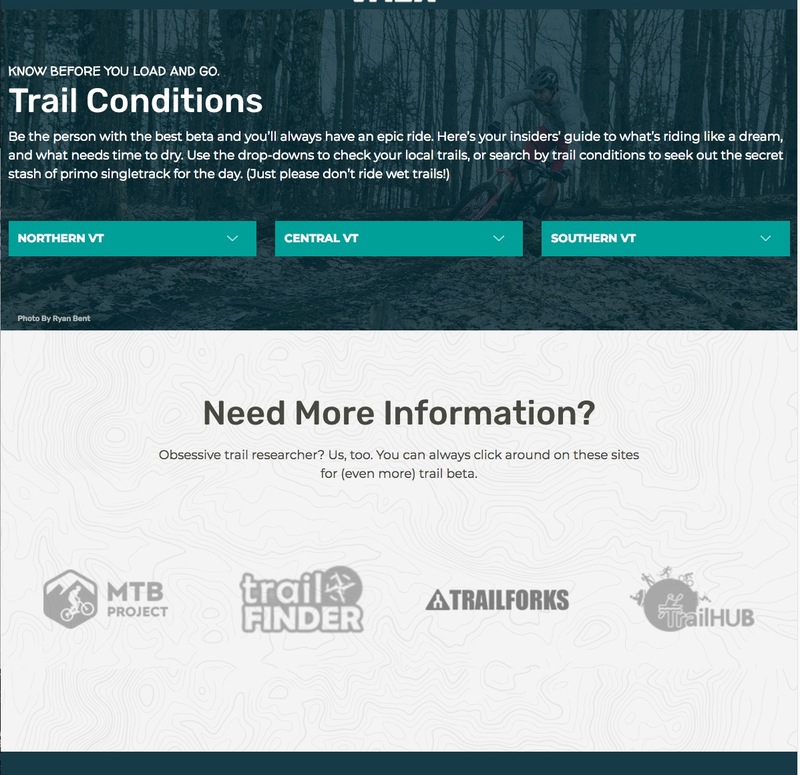 A way for them to manage and organize all of the information regarding the state’s trails, A front facing way to reach their current and potential members, and lastly, it served as their crm. Unfortunately all of this was trapped behind an outdated Drupal install that had grown increasingly unwieldy over the years. We tackled the first two functions in phase one. 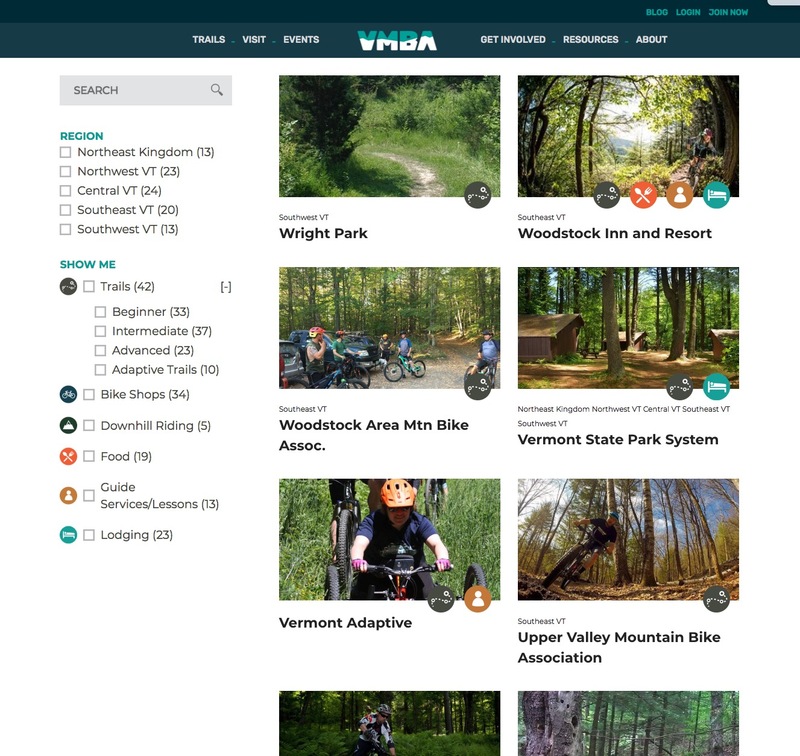 Using the modular framework I built for Helio to meet their functional as well as visual needs. A few months later the client came back and we begun talks about a phase two to free the remaining data left behind. 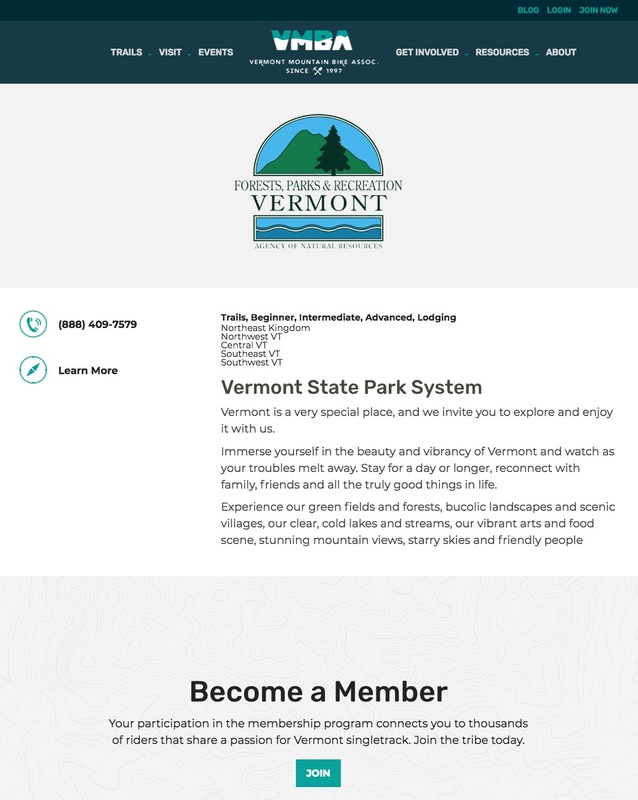 Though I do not live in Vermont anymore I did call the state home for a few years. I was excited to work for this organization. There were a few minor challenges integrating their migrated legacy content, and making the best of custom meta in taxonomies. But this project was almost entirely smooth sailing. All the work we’d done towards our block system meant the work was never repetitive and while the technical challenges were few, I was able to move swiftly through this project fueled by the nearly instant gratification of seeing beautifully designed blocks come together with ease.